Click on the 'Purchase Voucher' button below. Option 1: Select a gift voucher for a given amount, which can be used for any future booking. Option 2: Purchase a gift voucher for a specific class and number of people. The recipient will only need to pick a date and time, and will never see the price. 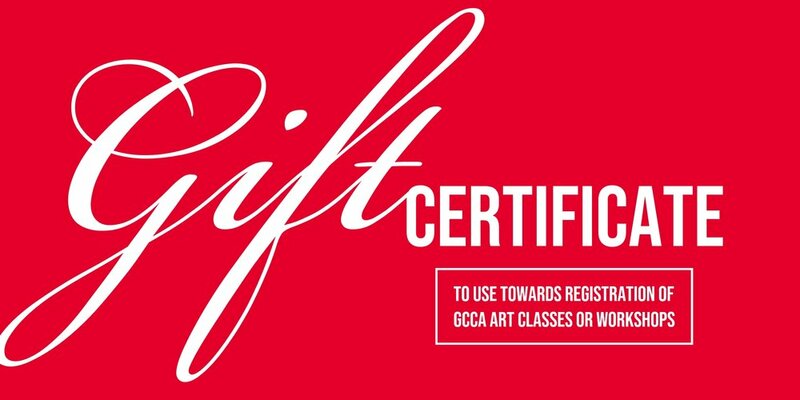 After processing payment you can print out a GIFT VOUCHER to be given to the gift recipient OR contact us for a GCCA GIFT CERTIFICATE (samples below). Visit the web address on the Gift Voucher you received. Select the Class/Workshop date and time option of your choosing. Book the class using the Voucher Code on your Gift Voucher.